The arrival of the Bone & Joint Institute in Hartford in early 2017 followed a dramatic increase nationally in total knee replacement surgeries, almost 250 percent, during a 14-year period ending in 2014. Coincidence? Not exactly. Call it the Boomer Effect. The aging population born between 1946 and 1964 -- with knees (and other joints) now more vulnerable to damage by osteoarthritis and rheumatoid arthritis after years of wear and tear – is a prime reason for the spike in knee replacements. By 2030, 3.5 million knee-replacement procedures are expected each year in the United States, an increase of almost 700 percent over current levels. The Bone & Joint Institute’s board-certified orthopedic surgeons are fellowship trained in knee replacements. Our doctors provide all areas of surgical knee care, for patients of any age, from partial and total knee replacements to complex surgeries like patellafemoral replacement revision. When damage to cartilage on the knee joint surface is so extensive that medication and other medical treatment no longer help, it might be time to consider knee replacement surgery. To access the kneecap (patella), your surgeon makes an incision 8- to 10-inches long in the front of the knee. A procedure assisted by a robotic arm requires a shorter incision, typically 4 to 6 inches. This, of course, leaves a smaller scar but also a smaller surgical space. In either case, using traditional surgery or robotics, your hospital stay is less than two days. After turning the kneecap to view the surgical space, your surgeon removes damaged cartilage at the femur (thigh) and tibia (shin). Some bone just below the cartilage is also removed. Metal implants are placed on the femur and tibia, securing them to the bone. A plastic button is placed on the underside of the kneecap, sometimes requiring resurfacing of the area to ensure a proper fit. A medical-grade plastic spacer between the two metal components is the final piece that allows the artificial knee to replicate the movement of the original joint. Even though the country’s first knee-replacement surgeries date to the early 1900s, the procedure did not become common until the Food and Drug Administration approved bone cement for both hip and knee prosthetics in the 1970s. More recently, computer technology and robotics have transformed knee replacement surgery. Smaller incisions and a quicker recovery are among the benefits of the enhanced precision provided by our nonhuman operating-room assistants. The technology is particularly useful to surgeons in getting an accurate alignment of the joint during a partial knee replacement procedure. Though on-the-fly adjustments are always available at the presiding physician’s discretion, the Mako System keeps the surgeon within the plan’s boundaries. This ensures both accuracy and preservation of ligament soft tissue. In a recent study that tracked the long-term performance of common knee-replacement prosthetics, 96 percent of patients were still using the original implant 20 years after their surgery. A partial knee replacement, also known as partial knee resurfacing, replaces only an arthritic inner or top (or both compartments) of the knee joint, leaving healthy areas intact. Unlike a total knee replacement, both the anterior cruciate ligament (ACL) and posterior cruciate ligament (PCL) – which help stabilize the knee -- are preserved. Here, Bone & Joint surgeons also can use robotic-arm assisted surgery for precise placement of the implant. In studies, the alignment of a patient’s joint after partial knee replacement using Mako were more accurate than conventional methods. But despite this advantage, and less pain reported by patients after surgery, there was no discernible difference between robotic-arm assisted and traditional surgery outcomes after one year. Talk to you doctor about which surgical method is best for you. If your osteoarthritis has gotten so bad that your knee pain keeps you up at night and prevents some everyday activities, you may be ready for partial or total knee replacement surgery. Our goal is to provide you with the most natural knee movement possible, while sparing healthy bone and tissue. We’ll help you decide which options will best relieve your chronic knee discomfort. We’ll also address any concerns you may have about knee replacement surgery. 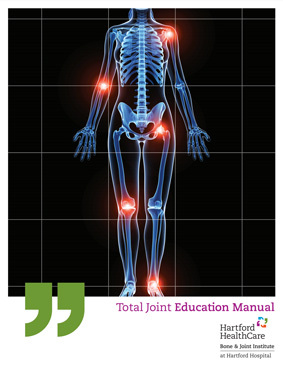 Please download our Total Joint Education Manual for a fuller picture of what to expect when receiving knee-replacement treatment at the Bone & Joint Institute.